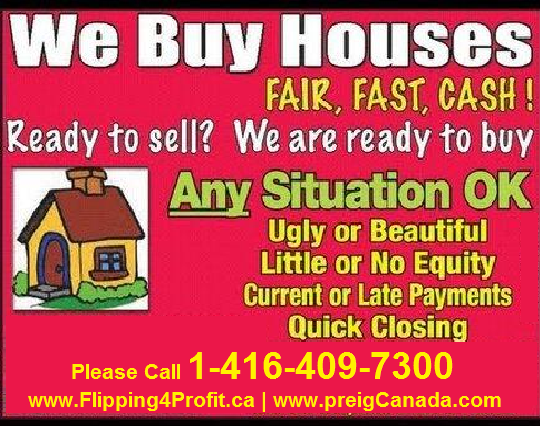 When we buy houses in Canada, we repair the house then sell it for a profit. We can also do it for a much cheaper price as construction companies will provide discounts to people who give them a lot of work. When the repairs are done, the house is sold, and we rinse and repeat. 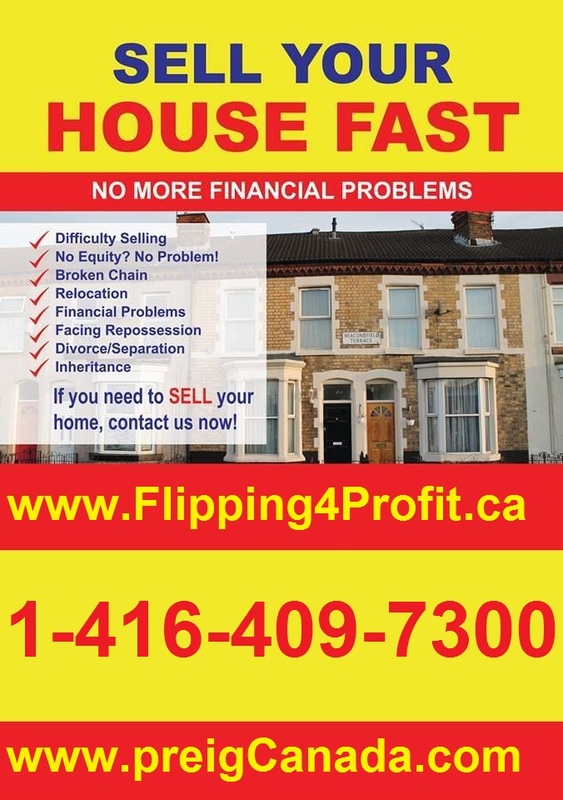 It is called fixing and flipping houses in Canada. 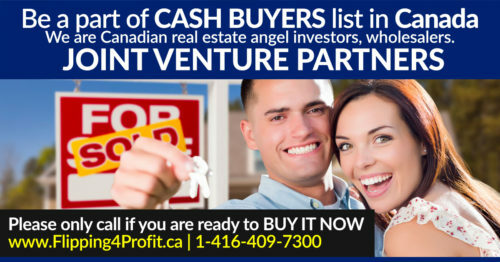 So now you might be wondering why a property owner in Canada would sell their home to Canadian real estate investors for discount price. There are several reasons for that due to circumstances beyond their control. Deaths, divorce, sickness, loss of job, depression, desperation, drugs and alcohol are a few of the reasons where a property owner becomes a panic seller. 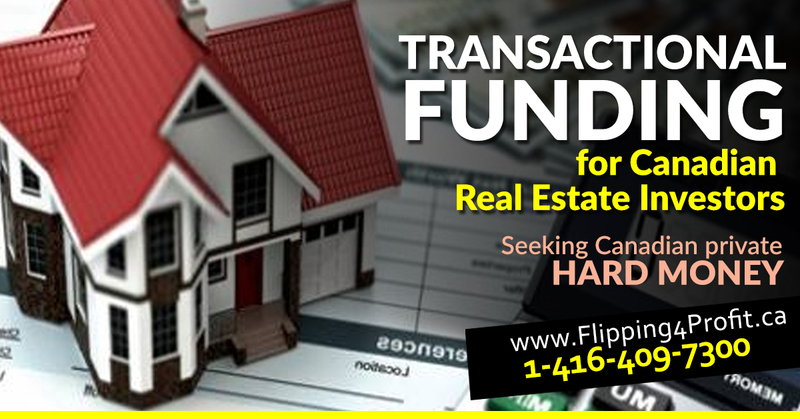 The reason we buy houses in Canada is because some people are in dire need for quick cash due to foreclosure, power of sale, delinquent payments, tax arrears, judgements, liens and or property requires a lot of repair or updating. Sometimes it is because someone got a job and needs to move elsewhere. 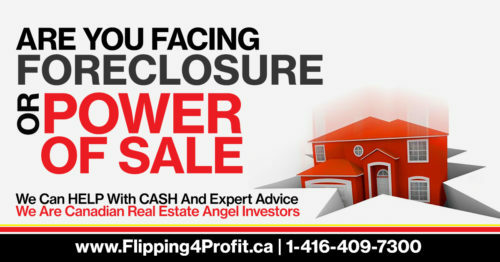 Other times a couple gets divorced and selling the home allows quick liquidation of assets. 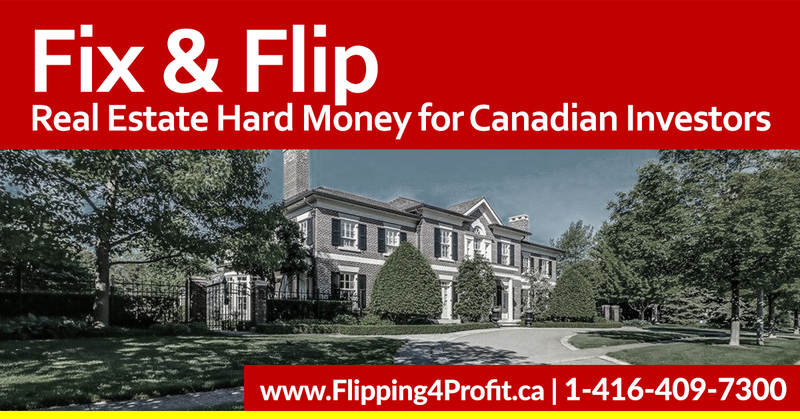 Canadian homeowners can sell their homes to Canadian real estate investors because they do not want to deal with the long process of going through a real estate agent. It costs a lot of money to hire an agent, and with all of the repairs, and the commission the agent gets will make a deep cut in the owner’s profits compared to a cash buyer. 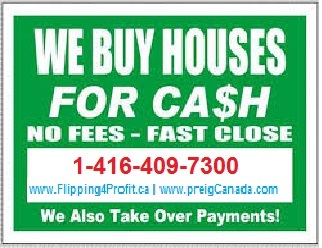 We buy houses in Canada by simply giving the owner cash and taking the property. 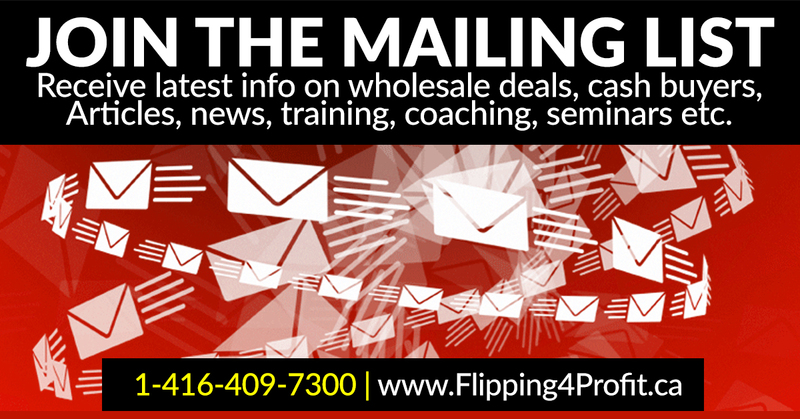 It is very simple and there are no hassles or fees at all. 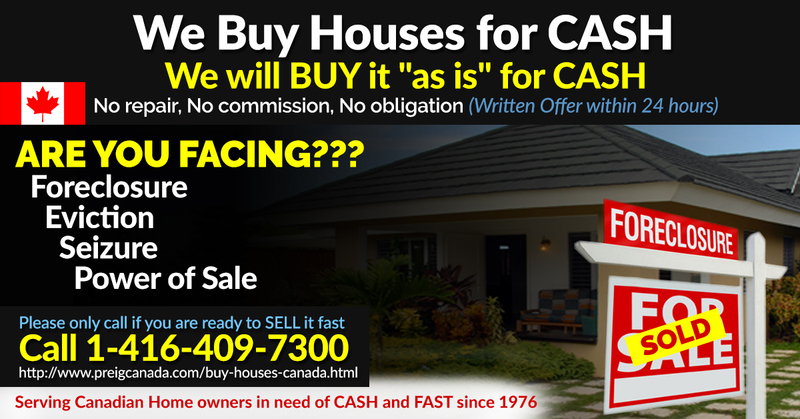 When the Canadian homeowner wishes to sell their house to a cash buyer they can call them to see the house. 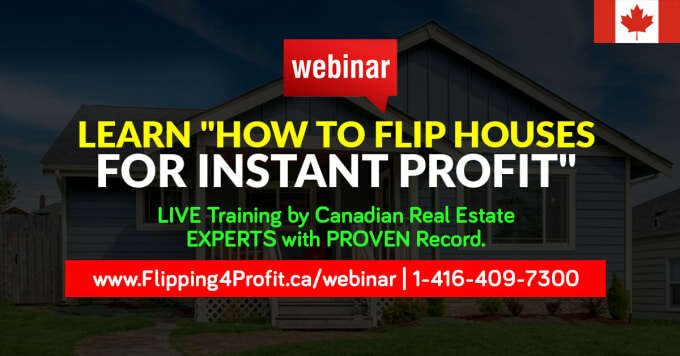 The Canadian real estate investor will look at the house and make an offer, when both parties agree with the price they will set a closing date. The investor or their lawyers will make all the paperwork. In total this process may only take a few days. 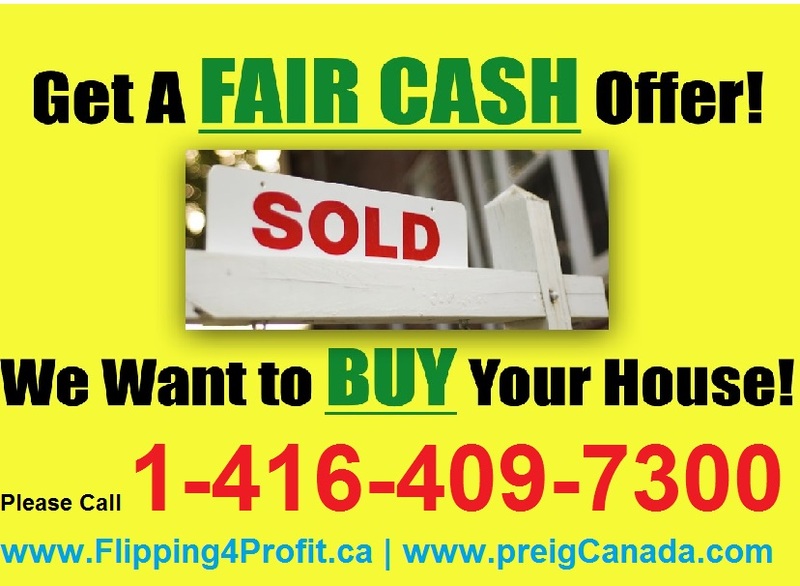 If you suddenly want to sell your home, there are many benefits to selling it to a cash buyer. 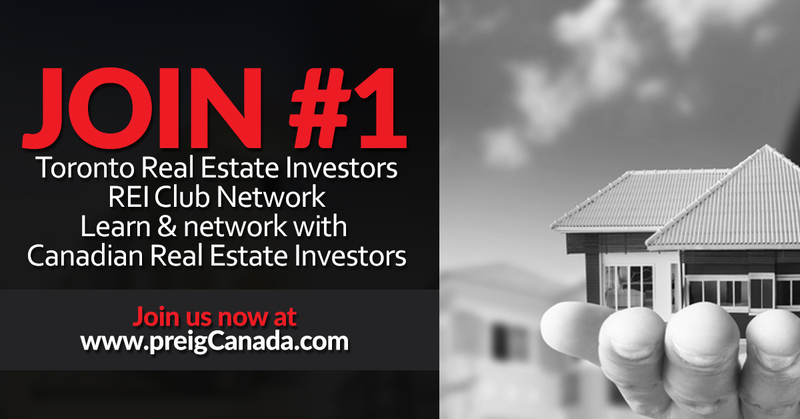 Overall selling to a Canadian real estate investor is the best option; it doesn’t involve a middleman and finishes much quicker. 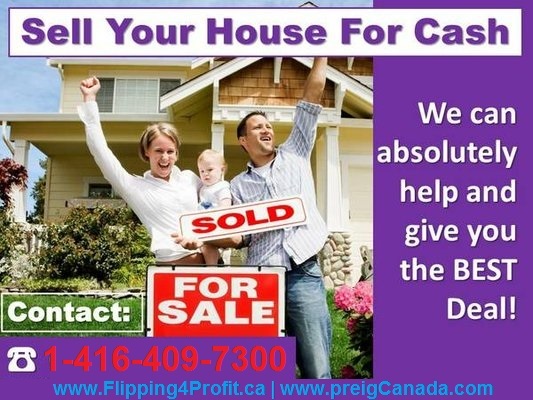 Using a cash buyer allows the home owner to go about their life much faster than if they used an agent or tried to sell it on their own. This is why we buy houses in Canada.